Divide team among all the baskets. 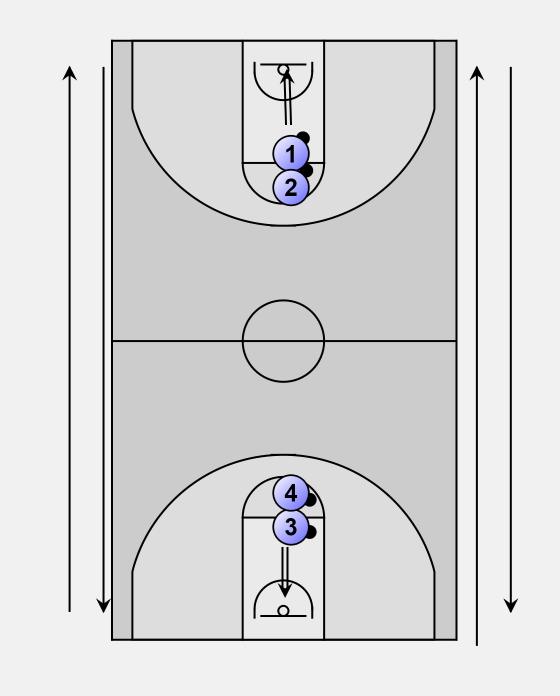 Players are to shoot free throws. If they miss the first, they are to run 2 wind sprints, running at game speed. If they hit the first and miss second they are to run one wind sprint. As added measure if they shoot air ball they are to double the number being run. Reason for name of integrity is players have to have enough integrity to run the number they are to run and run at game speed.